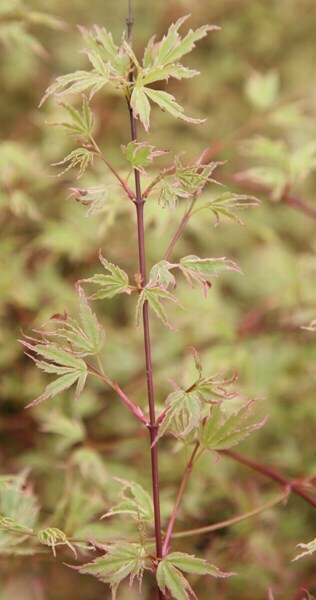 Masses of tiny, red, spring flowers contrasting beautifully against delicate grey-green leaves with slender white and shrimp-pink margins. 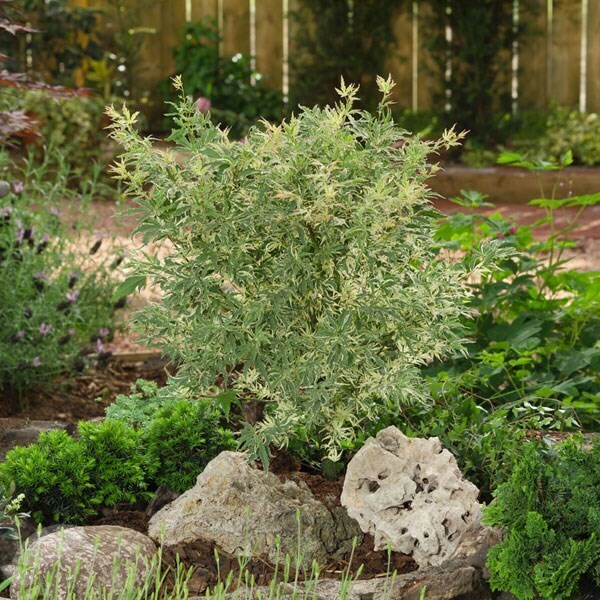 This compact, upright Japanese maple is an ideal specimen tree for a small garden. 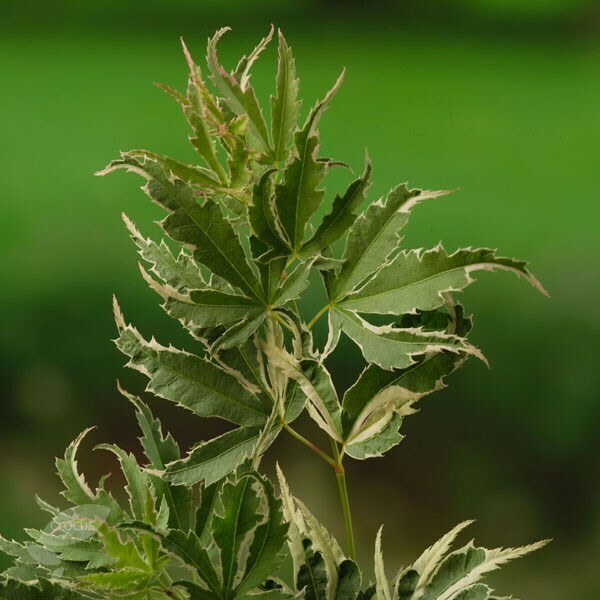 It is best grown in partial shade since the exquisite, variegated foliage scorches in full sun. 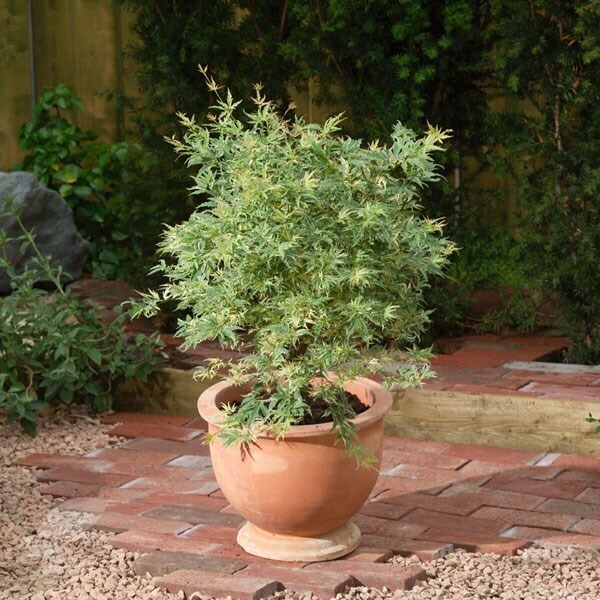 Garden care: Add a top dressing of a multi-purpose fertiliser around the base of the plant in late spring. 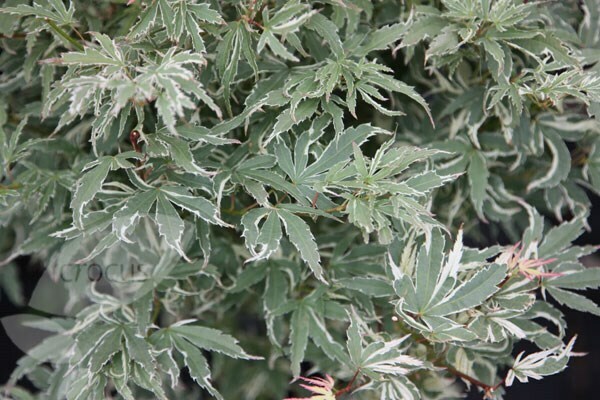 No routine pruning is required, just remove any dead, damaged or crossing branches in late autumn or winter when they are fully dormant.